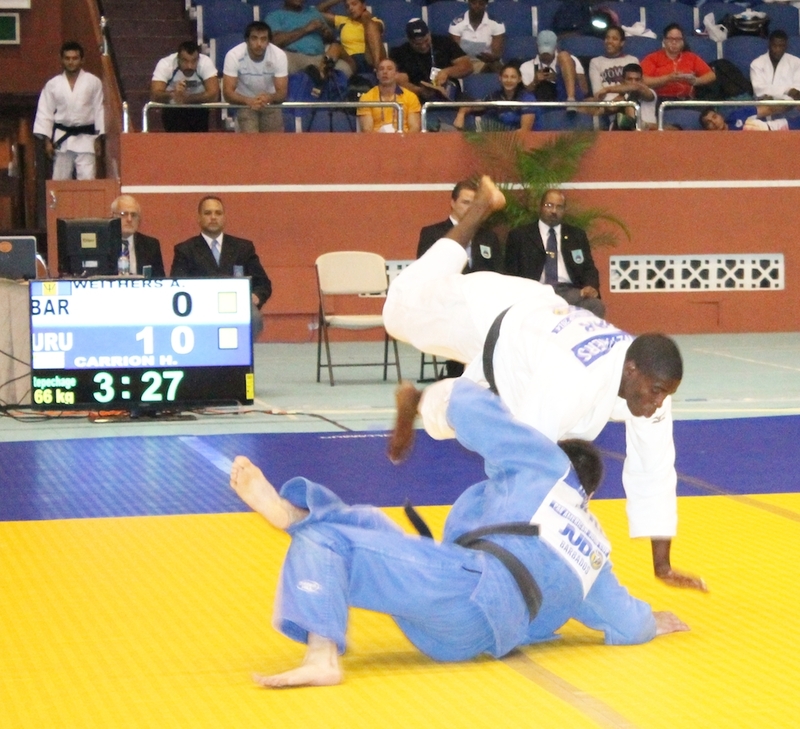 Barbados’ Judokas Fall Short – Barbados Olympic Association Inc.
All five judokas from Barbados competing in the 22 nations Pan American Judo Cup 2014 held at the Sir Garfield Sobers Gymnasium this past weekend fought well but failed to medal. This means that they are still in the hunt for qualifying points for the 2015 Pan American Games in Toronto. Asa Weithers was the only competitor who brought excitement to host Barbados on Saturday when he defeated Kesner Garcon of Haiti. However, the nineteen-year-old’s lone victory was not enough to give him an individual medal as he lost his second and third match to Jesus Chaparro of Mexico and Hernan Carrion of Uruguay respectively. Kyle Maxwell lost his opening match by virtue of penalties to Alexandro Clara of Argentina; the Barbadian Olympian returned and tried to redeem himself against Osman Murillo of Costa Rica in his second match. However it was a disappointing round for Maxwell in his second encounter after he floored Murillo with a toss but was only awarded half of a point while the Costa Rican was awarded a full point for a similar move. There were high hopes for Barbados’ lone female, Onoh-Obasi Okey, but the Commonwealth Games fourth place finisher was off her game. 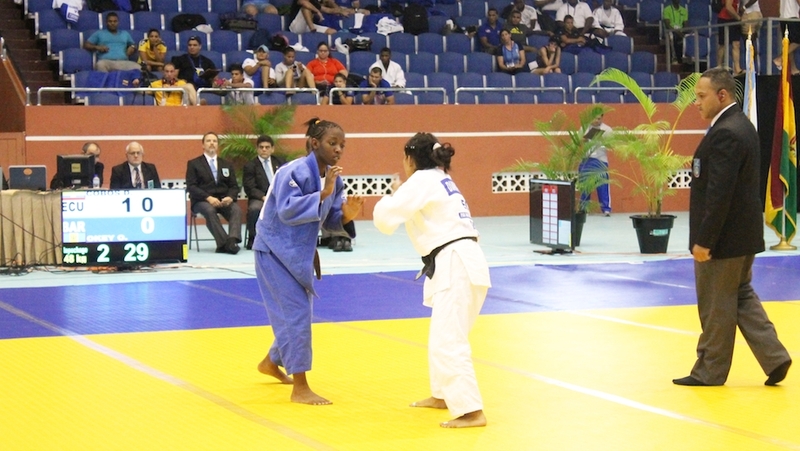 She was defeated by Diana Ortiz of Venezuela and eliminated by Diana Cobos of Ecuador during her second fight. Justin Boyce the lone competitor for Barbados on the final day of competition had the opportunity to earn a medal for the host nation but unfortunately lost to German Ayala of Mexico in his opening match and went down to Aprahamian Alain of Uruguay in his second. Barbados will have to regroup for the final qualifier in Canada next year in the hope of gaining the qualifying points needed for the Pan American Games 2015 in Toronto.